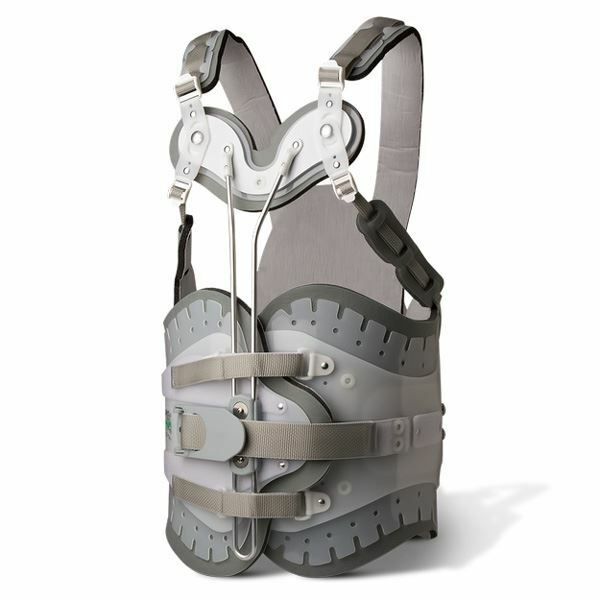 The modular design of the Aspen TLSO lets you progressively tailor the amount of motion restriction to the changing needs of each patient. 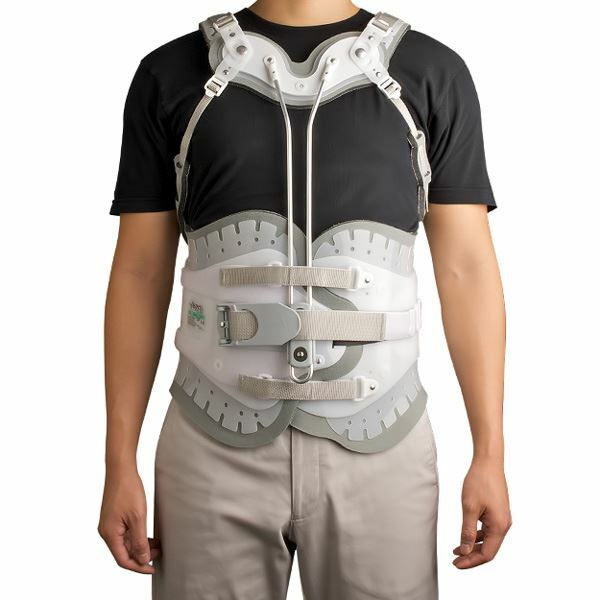 Torso control straps limit flexion and rotation by linking the padded chest panel. 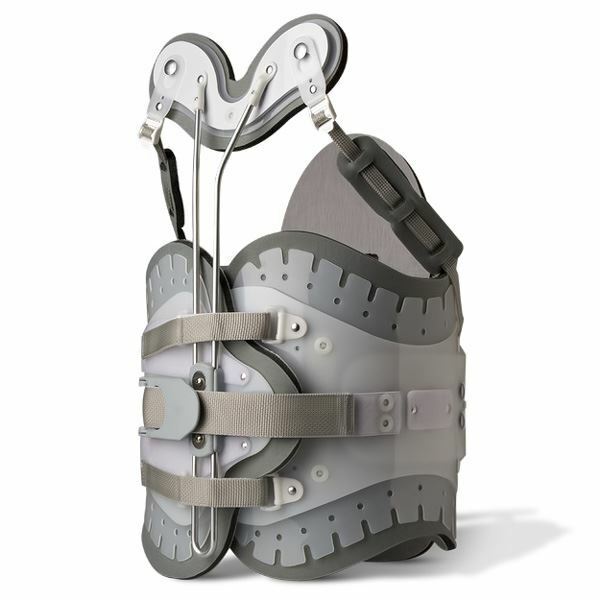 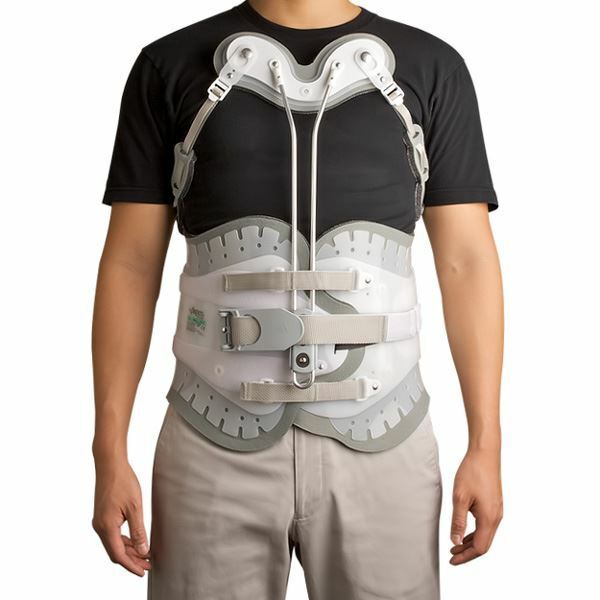 By removing the shoulder straps, torso control straps, or the padded chest panel, the system can be "stepped down" to parallel the overall progress of the patient. 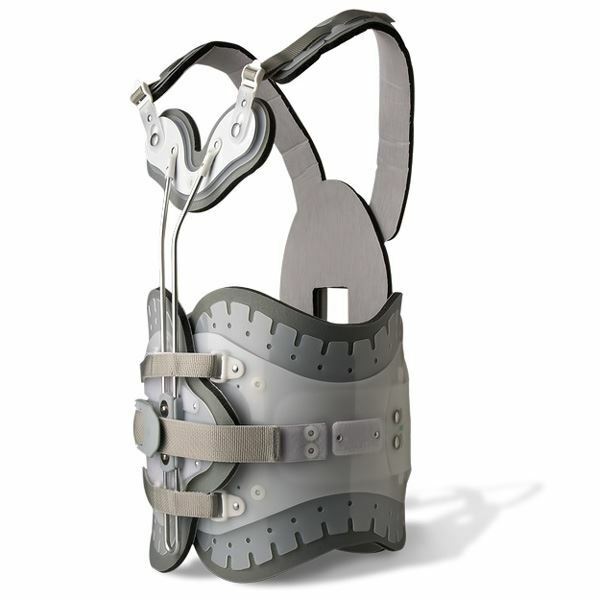 Available in Short (with a 13" Back Panel) or Tall (with a 16" Back Panel) models to accommodate different patient heights. 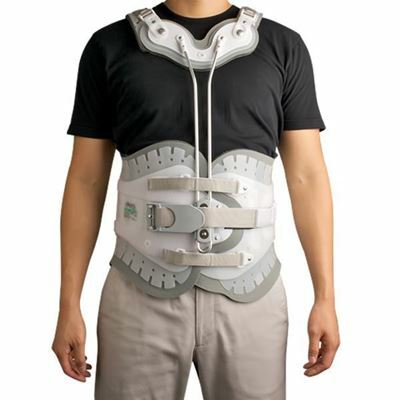 Please refer to instruction sheet for sizing.